Did you ever attend a corporate meeting in your night suit? Or go for a wedding in your denims and T-Shirt? I did that once (Awkward). I accompanied my boss in one of his weekly rounds visiting village level sub-centres and I was dressed for that, oblivious to his intention of attending a wedding after. Similarly, you would not want to present a presentation overloaded with graphics and animations for a board meeting. That is why you need a PowerPoint style guide. A style guide is a classification of rules or guides for a particular application. The style guide is the is the base of all guides that are the subset of the style guide. The goal of using a PowerPoint style guide is to provide consistent visual design across all materials created by a company. Chillibreeze’s first customer was a management consulting firm. They wanted Chillibreeze designers to create general design guides and a corporate style guide. Like many corporations, an elaborate style guide was created so that a consistent look and feel could be applied across all applications. The customer specifically wanted style guides for Microsoft PowerPoint and Microsoft Word applications. They already had a corporate logo, so Chillibreeze design team worked with the logo and corporate colours to create the PowerPoint style guide that would be used as a reference point by all consultants, designers, writers and other professionals associated with the company. The aim was to ensure all their PowerPoint presentations would share a consistent corporate identity. The customer was extremely satisfied with the PowerPoint Style Guide we created. Chillibreeze continued to serve this client by providing “overnight” PowerPoint presentation polishing services. The client began sending examples of other visual elements that they wanted to implement. Our designers began to offer slide options on each PowerPoint deck so that the customer could choose the best presentation layout that communicated his/her concept. We had to create custom icons that fit the new and emerging trends in the industry. We encountered the same situation with our Microsoft Word presentations. Each whitepaper had more and more graphic elements which communicated concepts or comparisons that did not fit the previous style guide format. Both Chillibreeze and the customer discovered that while we had a set of guidelines and ready-made tools, we were not using them. In fact, a new style guide began to develop over the months. You could say that this new style guide was much more practical as it developed via an informal process by applying actual PowerPoint content to the most efficient and professional outcome. Businesses often commission a style guide as a solution to creating a standard look and feel for their company. Too often usability issues creep up and the style guide begins to constrain the PowerPoint designer. In such cases, the end goal of creating a standard professional look is finally achieved but at the cost of effective visual communication. Before you start outsourcing your PowerPoint design needs, your organization need to have a clear PowerPoint style guide for everyone to refer and follow. Or better still, if you don’t have a PowerPoint style guide, this could be the first project for the agency that you hire for your PowerPoint design needs. A PowerPoint style guide is not so different from a brand style guide. All too often, a style guide becomes too huge, out-of-date, and difficult to implement. Particularly in a big corporate organization with different departments. Every department will have their choice of style and design and sometimes they can go out of hand. The guide should not be forgotten at any point of time and you need to refer to it from time to time. Until unless you are rebranding your company. 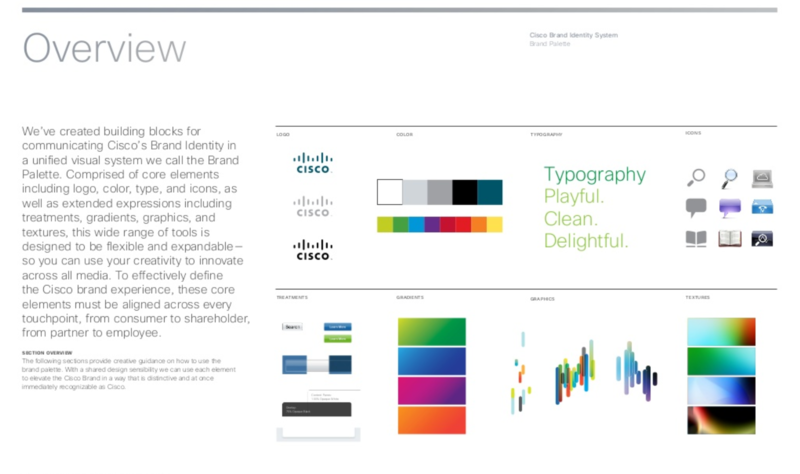 Cisco has a very clear brand style guide. 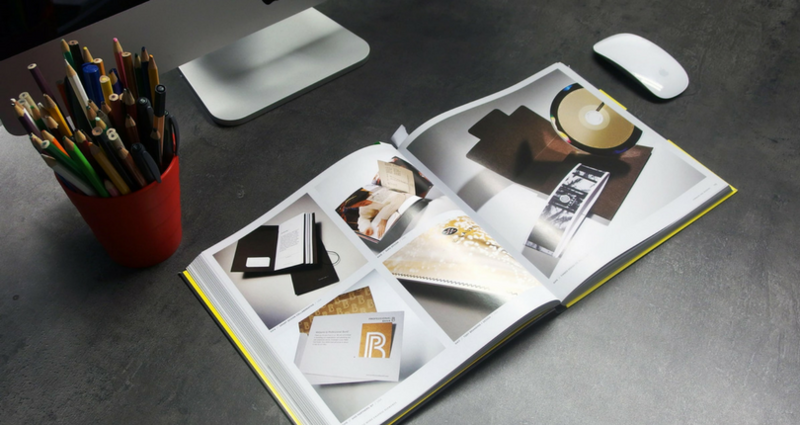 Everything in their brand guide brings out the voice and personality of the brand. This is an excellent example of how important a company logo and use of colour is for a good corporate style guide. Logo implementation across applications needs to be visibly established so that a professional tone can be created and the brand protected. When you have your brand guide in place, creating a PowerPoint style guide becomes easier and faster. The starting point would be creating the logo, tone of the company and various template style guides that first focus on the application. Every organization how big or small at one point or the other need a style guide. Everything that a company represents is reflected through the handbook. Do you have a PowerPoint style guide for your company or organization?